We had a good show at Basingstoke, although our sanity was sorely tried by a closeby O gauge diesel depot with loud DCC sound that closely mimicked purgatory. Our re-wire was 100% successful, so that’ll be good for another 35 years: this is entirely down to the hard work and clear thinking of Rob Stewart. The layout was set up in four hours and dismantled in two, which really improves the exhibiting experience for the team – it’s still jolly hard work though. Our continued efforts at simplifying the stowage are paying off, but we need a few changes to our crates as the vans we hire are now a couple of inches narrower. 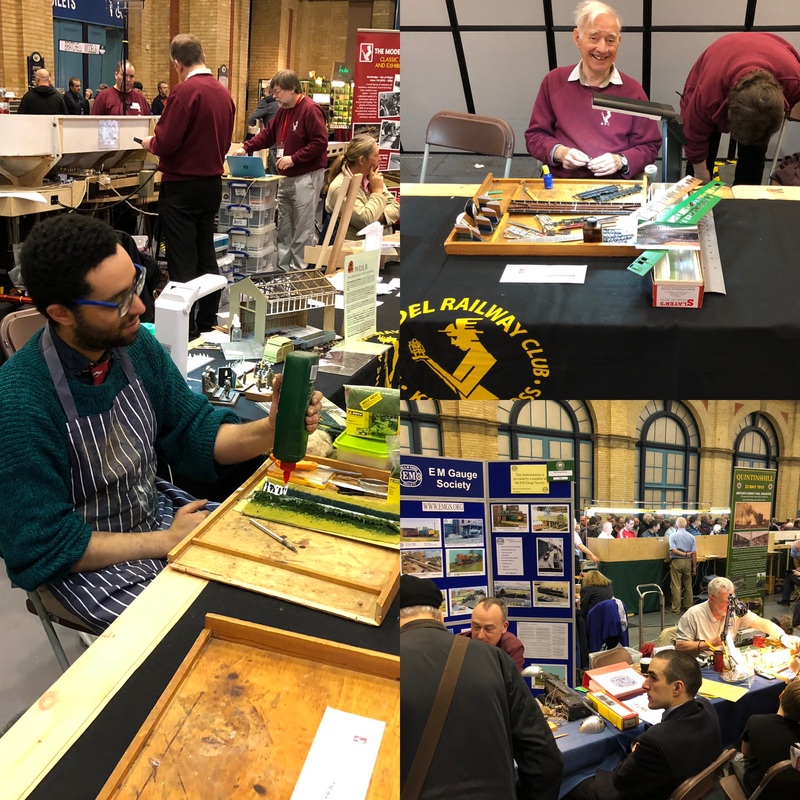 As normal, the layout performed better on Sunday than Saturday, partly perhaps due to the heat on the Saturday (the halls were crowded) and the incessant DCC sound in the background, which seemed quieter on the second day. It is an interesting observation that our old faithful trains definitely become used to running on certain lines and don’t take kindly to new routes. The loco situation needs some investment in new mechanisms: an example would be for the GNR J13: like Lord Nelson and frigates, you can never have too many tank engines. A 2mm Association chassis etch for a 57xx will help here and loco chassis building / commercial mechanism converting class would make a good basis for a Sunday session to have in the Club for our group, which might appeal to the other scale groups as well.